Are you searching for used trucks for sale in London, Ohio at local used truck dealerships in Ohio? Or are the London car dealership coming up short when trying to find the perfect used truck for sale to meet your needs? Then you haven’t been to 56 Auto Sales London because we have just the trucks for you in London, Ohio. At 56 Auto Sales London, we have a diverse selection of used trucks for sale, as well as used cars for sale at our London car dealership. We try our best to offer a wide variety because we know not everyone is looking for the same style or equipment when searching for their next vehicle. We are proud to serve London, Ohio and the surrounding Madison County areas of Ohio. If it is a variety of trucks you would like to research, it has never been easier to find and compare used trucks for sale than at our London used car dealership in Madison County. From cheap trucks to fully loaded luxury trucks, trucks with gas engines to diesel trucks for sale, as well as rear wheel drive trucks for 4x4 trucks for sale, we have it all at 56 Auto Sales London. Or, check out our online inventory of used trucks for sale at our London car dealerships of 56 Auto Sales. You can quickly sort by brand and model, price, or even body style. Then you will only view trucks that match the search criteria you desire, like used Chevy trucks for sale. Once on the inventory pages, you can narrow down your search even more, like selection diesel engines so only Chevy diesel trucks for sale in London, Ohio will be displayed. Is it used Chevy diesel trucks for sale in Ohio that has been on your mind for the perfect truck? Then you need to check out our selection of used Chevy trucks and used diesel trucks for sale that are offered for sale at our London used truck dealership in Ohio. Like a used Chevrolet Silverado 3500 DRW LS diesel truck for sale. This used Chevy diesel truck for sale in Ohio comes with many features both inside and out that you won’t want to miss out on. This Chevy diesel truck for sale comes with a 6.6-liter 8 cylinder engine that boasts an incredible 300 horsepower. So, you can expect some high power with this used diesel truck for sale. 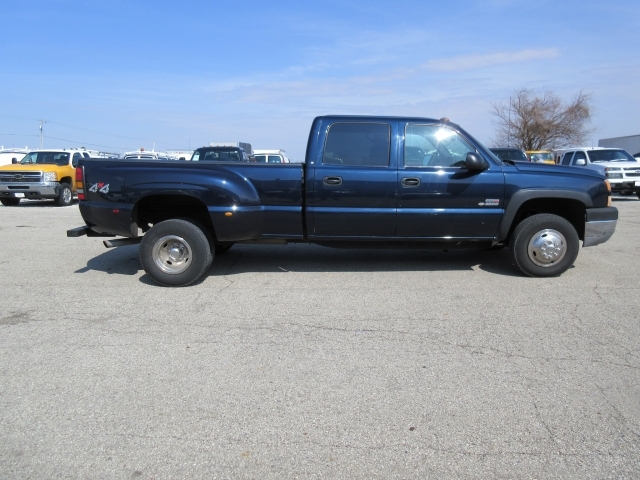 This used Chevy Silverado diesel truck for sale also comes equipped with four-wheel drive. So, never worry about driving in less than ideal road conditions again when you buy this used diesel truck for sale. This used Chevy Silverado diesel truck also has dual-zone climate control, so no more confusion over whose ideal temperature is better. This used Chevy diesel truck for sale also comes with many safety features that are sure to put your mind at ease as you drive through the streets of London, Ohio. Such as anti-lock brakes and multiple airbags. Come out and take this used Chevy diesel truck out for a test drive down the streets of London OH today. If this used Chevrolet Silverado truck for sale isn’t the vehicle for you, check out one of the many other used diesel trucks for sale in Ohio. 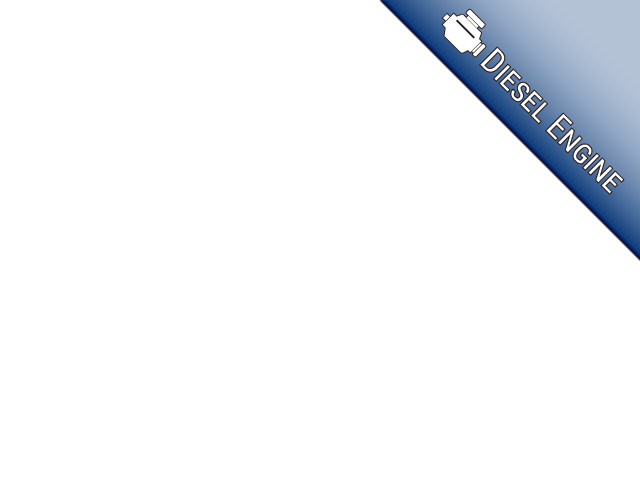 You can find used diesel trucks for sale that are modestly equipped or loaded with options and accessories features like heated leather seats, a tow package, alloy wheels, and more. Whether you are looking for specific trim levels on used diesel trucks for sale in Ohio like a base model or loaded, ones geared toward work or a family friendly full-size pickup truck, the only place to buy your next truck is the London used truck dealership in Ohio of 56 Auto Sales London. Are you looking to trade-in your current vehicle on this used Chevy Silverado? We are happy to give you a trade-in value on your current vehicle. We take in all types of vehicles in on trade, including trucks such as Chevy Silverado trucks, Ford F-150 trucks, GMC Sierra trucks, and even older models like a Dodge Ram 1500 or smaller GMC Canyon. It is always a great idea to trade in your old vehicle when you decide to buy this used Chevy Silverado. It is not just a way to not have to worry about selling your old vehicle yourself. It may help lower your monthly payments to keep this Chevy Silverado within your budget. So, when you decide to buy this used Chevy Silverado truck, have your sales team professional get your current vehicle appraised. Let us help you get one step closer to driving home in this used Chevy Silverado truck from 56 Auto Sales London. Concerned about your credit? 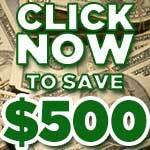 Fill out a secure online credit application while checking out our 56 Auto Sales London website. This is so you can get pre-approved before coming into 56 Auto Sale London’s truck dealership in Ohio. We are happy to discuss all types of payment plans for when you find that perfect truck. We accept all credit applications regardless of your financial standing. So, whether your credit is good, bad, poor, or new, it makes no difference to us! We have financed thousands of drivers with all sorts of credit throughout London, Ohio. Give us a call to schedule an appointment with one of our friendly and experienced 56 Auto Sales London sales team members today. Drive your truck home with a smile on your face when you buy from 56 Auto Sales London. Knowing you made the right decision to buy your used truck from our London used truck dealership in Ohio will have you wondering why you didn’t come in sooner. Stop in and see us today. Let us show you why we are the only stop you need to make for your next truck. Call to schedule an appointment for a test drive today at 740-571-0078 or stop in and see us at 56 Auto Sales London located at 781 State Route 56 SW in London, Ohio 43113.